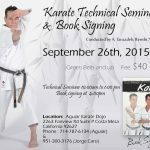 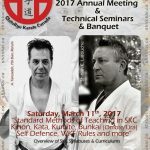 Technical Seminars and official SKC Dan examinations plus “Papuren” Seminar. 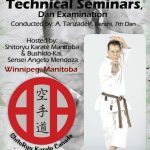 Winnepeg, Manitoba. 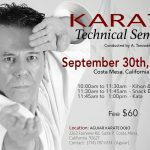 Conducted by Sensei TanzadehHosted by Sensei Angelo Mendoza. 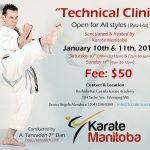 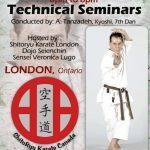 Shitoryu Karate Canada presents; Technical Seminars conducted by Sensei Tanzadeh hosted by Sensei Veronica Lugo of Dojo Seienchin, December 8th 2017. 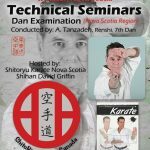 Shitoryu Karate Technical Seminar hosted by Shitoryu Karate Nova Scotia – Date: June 22, 23, 2013 – Location: Windsor and Darthmouth. 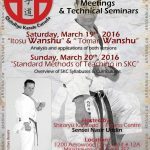 Hosted by Sensei David Griffin, Technical Director of Shitoryu Karate Nova Scotia.